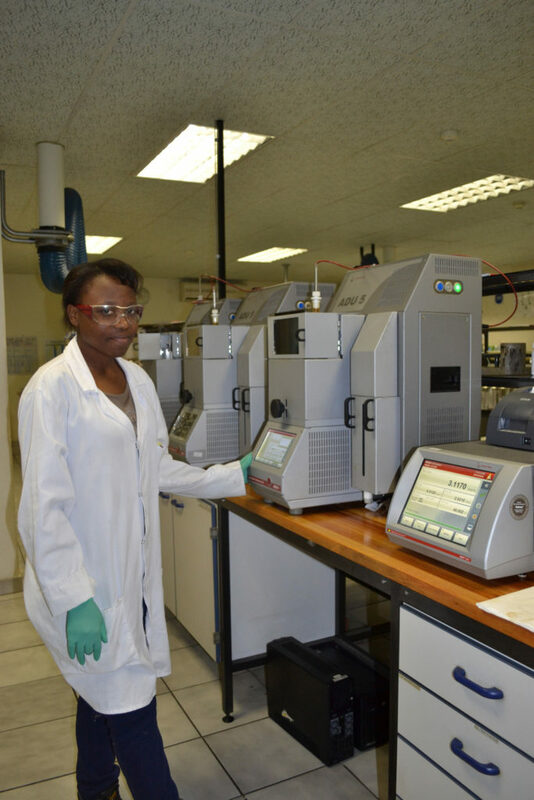 WearCheck recently invested more than R1,7-million in new high-tech equipment in the transformer and fuel sections of their speciality laboratory. A Kruss K11 tensiometer, an ADU 5 distillation unit, a SVM3001 Stabinger viscometer as well as a PMA 5 Pensky-Martens closed-cup flash point tester are among the new pieces gracing the countertops in WearCheck’s laboratory. These highly accurate, sophisticated instruments – which have boosted the lab productivity by offering new tests and saving time on existing ones – have also reduced the turnaround time to generate customers’ sample results. The ADU 5, a fully-automated distillation unit which is operated by a touch screen interface, performs distillation tests according to ASTM D86. The SVM3001 is a Stabinger viscometer which is capable of multiple parameter measurements in a single analysis, eliminating the need for many separate tests. The automatic PMA 5 Pensky-Martens closed-cup tester measures the flash point at the lowest temperature at which the application of an ignition source causes the vapours of a sample to ignite. The post Lab update gives faster sample results appeared first on EE Publishers.